​As both the internal structure and external residue of the body, bones have many inherent connotations. My interest in bones is long standing, I have been collecting them since childhood and my collection has become quite extensive. 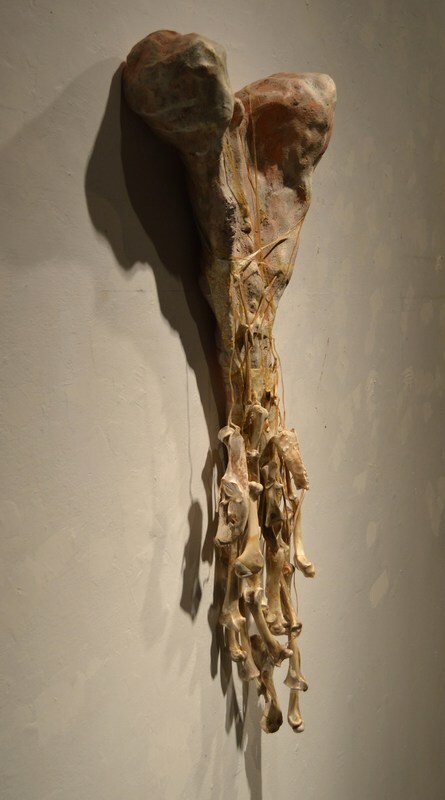 In sculpture, bone fragments can communicate complex questions about the intersection between the biological and the cultural role of the body. 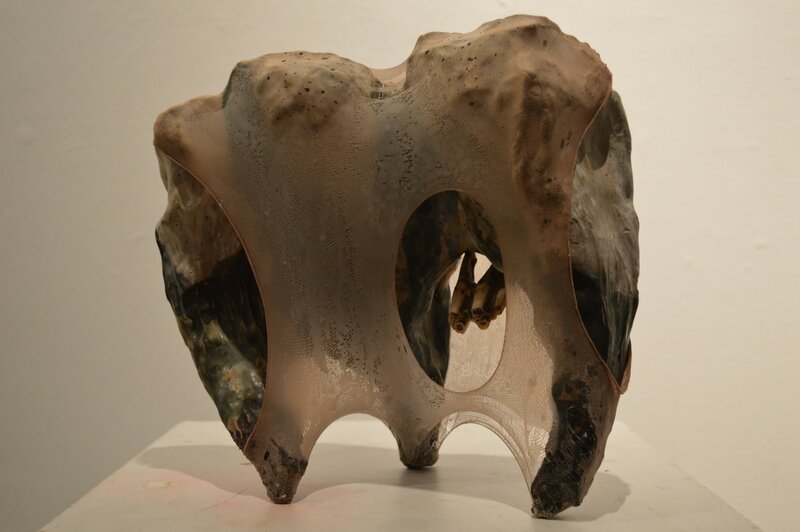 In these works I take the things that I love and increase their scale or display them within a sculpture. Through this process I seek to engage the audience with the topic of my obsessions, momentarily encouraging them to look closely at what might otherwise repulse them. 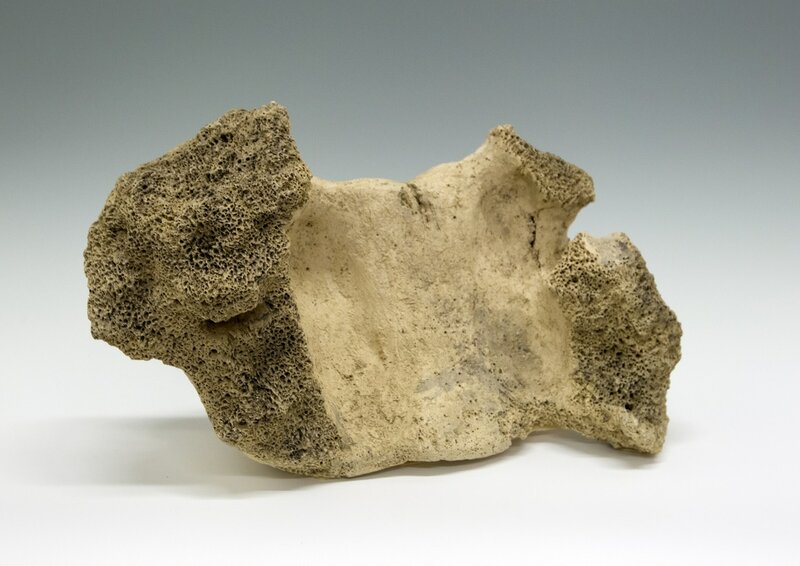 ​This is a giant miscellaneous bone fragment based upon my collection. Increasing the scale of these objects changes their character. 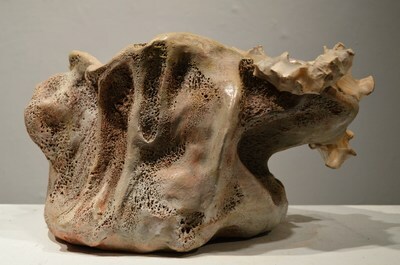 Through the process of scaling up, my private collection of bones is transformed into public objects; as attractive to the audience as pre-historic fossils. This is a giant pile of miscellaneous bone fragments based upon my collection. Increasing the scale of these objects changes their character. Through the process of scaling up, my private collection of bones is transformed public objects; as attractive to the audience as pre-historic fossils. ​This piece is an insertion of a mandible from my collection into a larger sculptural work. 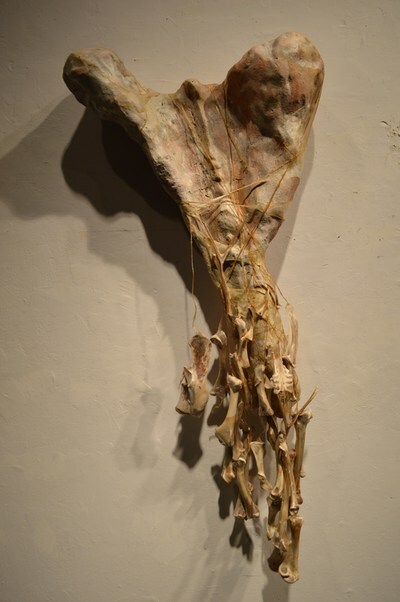 Wrapped in an external skin, this mandible is reimagined as a strange fossil of an even stranger creature. 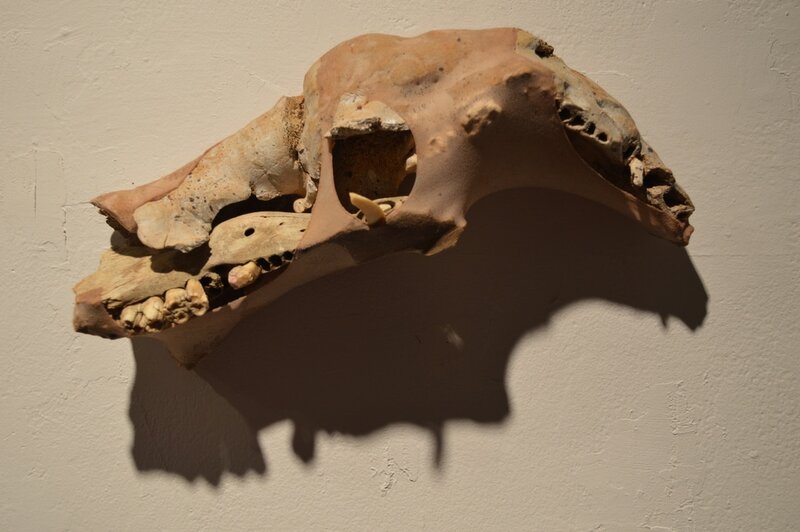 ​This piece is an insertion of an animal tooth from my collection into a larger sculptural work. Wrapped in an external skin, this tooth is reimagined as a strange fossil of an even stranger creature. 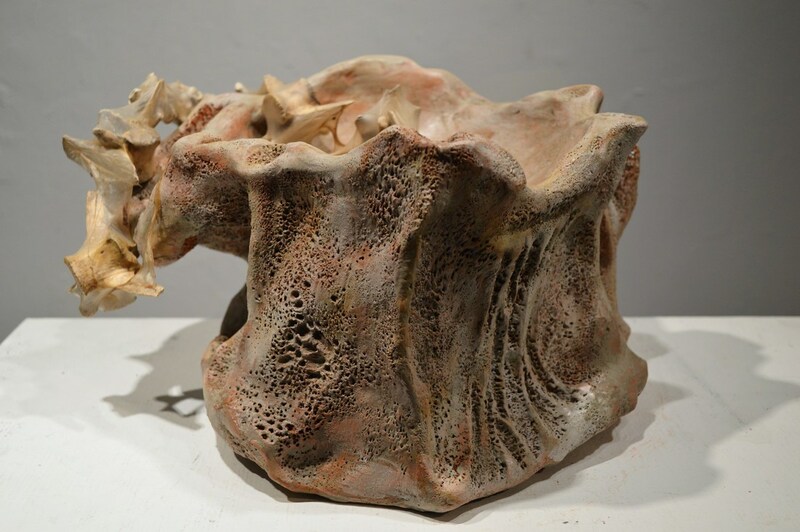 This piece is an insertion of fish vertebrae from my collection into a larger sculptural work. Wrapped in an external skin, these bones are reimagined as a strange fossil of an even stranger creature. The word nympha may refer to both a chrysalis and the labia minora. 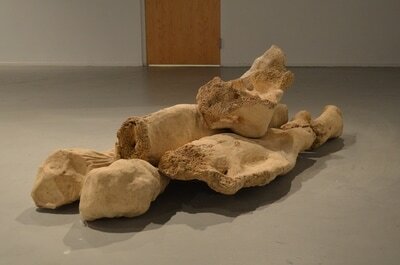 This piece is an insertion of turkey bones from my collection into a larger sculptural work. 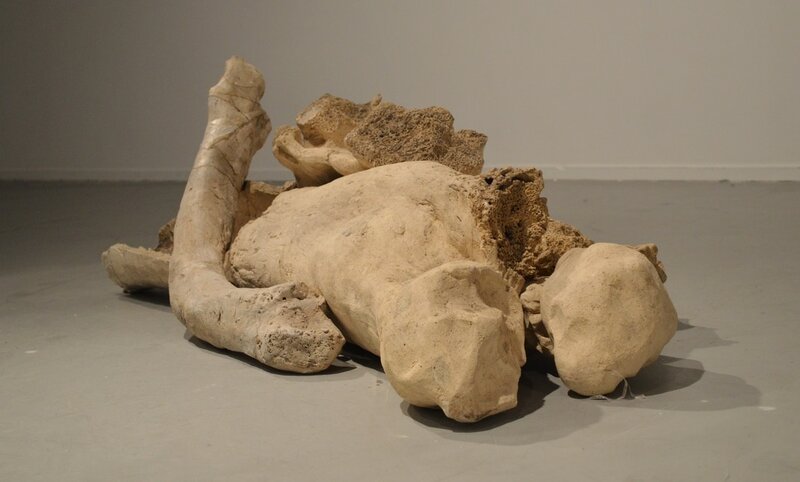 Wrapped in an external skin, my bones are reimagined as a strange fossil of an even stranger creature.